BBC News: It wasn’t quite as warm and dry as Afghanistan, but at least it didn’t rain on the country’s national cricket team when they met Ireland in Belfast on Thursday. 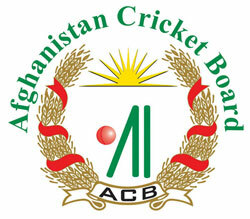 The Afghan team is just 15 years old. Despite a bloody war and the ongoing insurgency, it has gone from strength to strength. Watching on is Shafiq Stanikzai, the chief executive of the Afghanistan Cricket Board, who was chosen by the country’s President Ashraf Ghani. Click here to read more (external link).